Ah! You got an awesome Android smartphone, with a blazing fast connection and an awesome download speed. Life couldn't have been more perfect. Well, it was perfect, until you realized that your laptop’s Internet connection isn't as fast as the one on the phone. "Darn! After paying so much for turning my phone into a surfer’s heaven, I can’t even make it work on my laptop!" Hey, don’t get sad! There’s always a way to solve that problem. Tethering is a technology that allows sharing the Internet connection of the phone or tablet with other devices such as laptops. The connection is usually over Wi-Fi or Bluetooth and sometimes also via USB. Though not easily possible in iOS or in other proprietary phone operating systems, tethering is very much the norm in the world of Droids. Thanks to the openness of Android, people can share their smartphone’s Internet connection with their laptop without paying any extra money. Moreover, Android being Linux-based, many users don’t have much trouble connecting their Linux box to their phone. 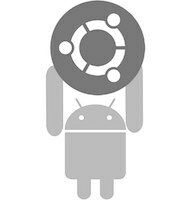 So, if you too are looking to connect your Android device to your Ubuntu Linux box, here’s a helpful guide for you. Tethering via USB is one of the best ways to share your Internet connection. It is simple, hassle-free, fast, and convenient. There’s no need to set up any password, nor there is any loss of battery (as opposed to tethering over Wi-Fi). To set up tethering on your phone, go to System Settings first. Here, you’ll find various options for tinkering with your connections. Click on More and proceed. Then, select the option that says 'Tethering & portable hotspot'. This will then take you to a menu from where you’ll be able to tether your smartphone to your desktop via USB, Wi-Fi, and Bluetooth. To get started, connect your smartphone to your Ubuntu desktop via USB. Now, here, don’t select the USB mass storage mode. 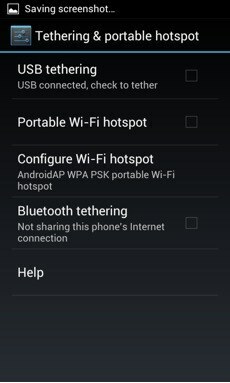 Simply connect the phone to your desktop and then go to the Tethering & portable hotspot menu again. 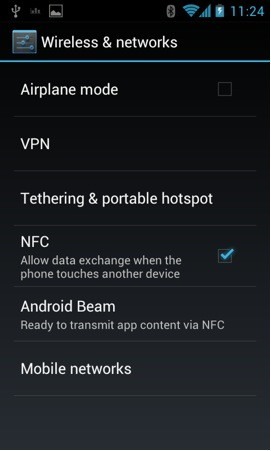 Check the option that says USB Tethering and wait for a few seconds. In a while, in your Ubuntu Indicator Menu (Network Manager), a new connection will appear. Usually, even if you’re on another connection, the new connection gets enabled by default. So, basically, this functions more like plug and play. 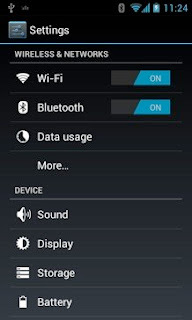 If you want, you can also use your Android smartphone as a Wi-Fi hotspot. This is very convenient as you can simply walk into a coffee shop with your laptop and your phone, keep them side by side, and surf the net in its full glory. 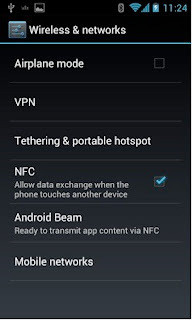 To enable Wi-Fi hotspot, go to the 'Tethering & portable hotspot' menu again. From there, select the option that says Configure Wi-Fi hotspot. Enter a Network SSID, Security mode, and password and then press Save. Anytime you want to use your phone as a Wi-Fi router, simply check the Portable Wi-Fi hotspot option and a new wireless network will show up in your network manager. the phone is not using 3g but connects to the internet via wifi, and the gateway and dns is 192.168.1.1. 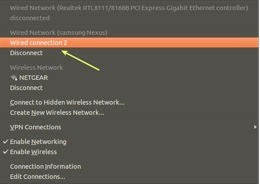 Fails for me with JellyBean and Ubuntu 12.04: the connection is made and appears where the wifi icon usually appears, but no data flows: connections are stuck at the resolving stage. Could you cite the version of Android you're using? I gather ICS works. working wonderfully for me on ubuntu 12.04 and gingerbread.